Long time, iconic Cyndy’s House of Pancakes on Aurora at 105th in Seattle sadly closed its doors this summer. News reports say that it is closing after 58 years of service due to the building being demolished to make way for a new multi-story, mixed-use building – and that there should be a space in the new building for Cyndy’s to return to when construction is completed (estimated to be a year from now). Their windows say they are moving to Stanwood in the interim. Sad for those in the north end in need of reputedly the best dutch-baby pancakes – but a score for The RE Store in Seattle! 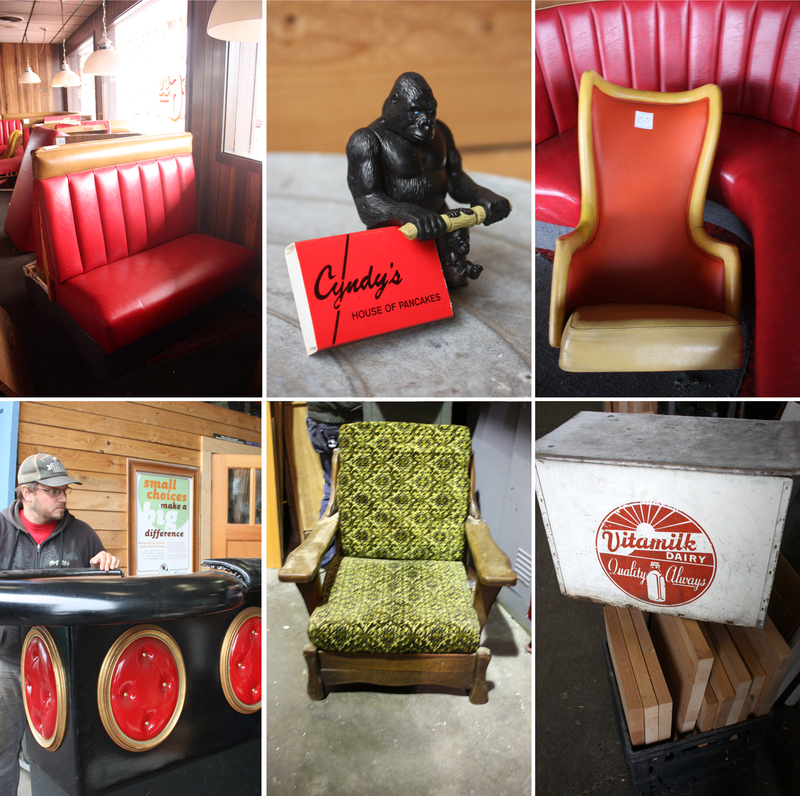 Several truck hauls of treasures came back to the store this week – including booths, a back bar, those high-back style bar seats that Cyndy’s (and 13 Coins) were known for, butcher block, fixtures, old school arcade type games, an antique wheelchair, other furniture, and random surprises. Come check out this recent bit of history in the store while it lasts!